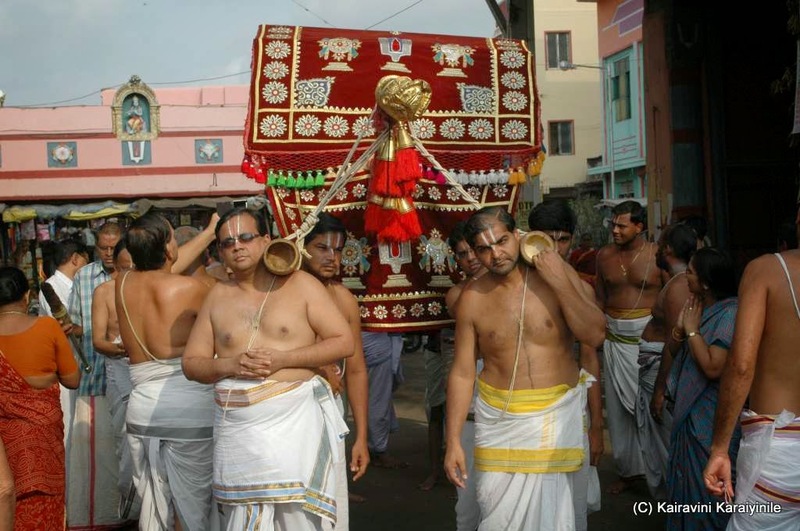 At Thiruvallikkeni divyadesam, the temple festivities are always continuous… immediately after the conclusion of the grandiose Brahmothsavam for Sri Parthasarathi, began the grand Uthsavam of our Greatest Acharyar – Sri Ramanujar. Today 26th April 2014 is day 2 of the Uthsavam. Our darsana Sthapakar, Sri Ramanujar is rightly reverred as ‘Yathi Rajar’ ~ the king among yathis [hermits and sages], it is our Acharyan who showed us the right direction to follow. The greatest reformer he was, Ramanuja gave us many vedantic treatises. Sri Udayavar, toured the entire Country, making the Srivaishnavatie tradition flourish in all his path. He was a great administrator too. He created flawless systems, corrected the administration of Sri Rangam ensuring the proper maintenance of the wealth of Lord Ranganatha and creating teams to properly continue all kainkaryams to the Lord. 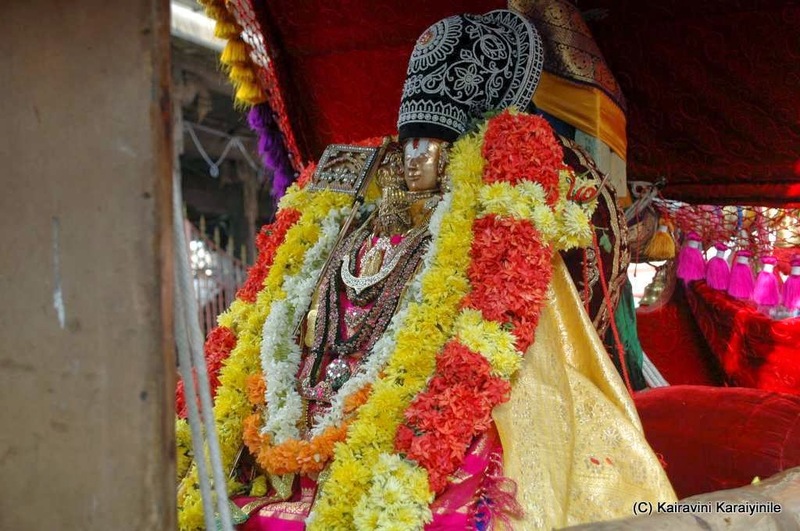 At Thiruvallikkeni, it is a 10 day Uthsavam with purappadus in the morning and evening as well…. 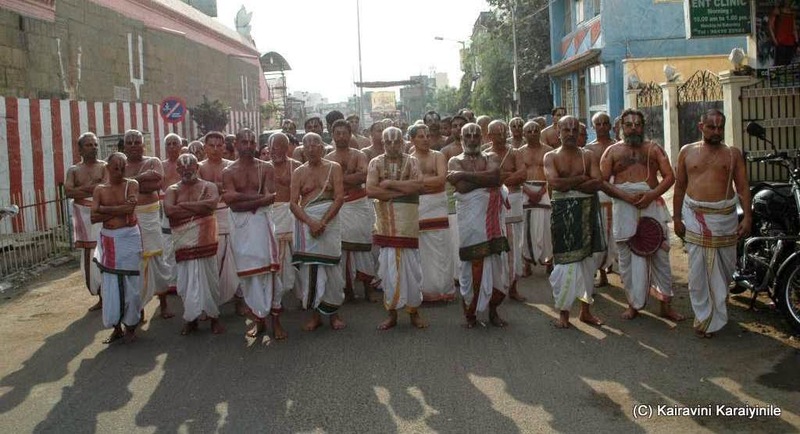 then there are also Thirumanjanam, Thiruppavai sarrumurai, Mangalasasanam, Thiruvaimozhi sarrumurai and Sri Ramanujar would take rest in the kannadi arai. In the words of Thiruvarangathu Amuthanar, the earthly human beings were all given the true Knowledge by the birth of Acharyar Ramanujar and started disciples of Sriman Narayanan. 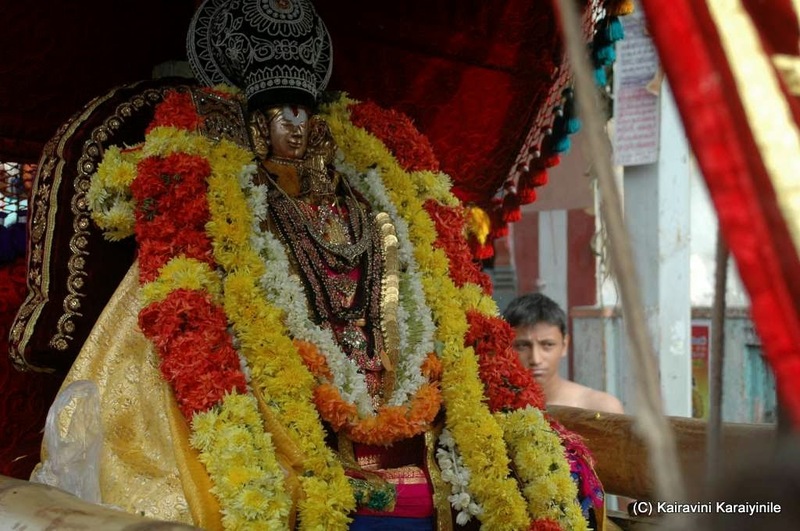 அப்பொழுதே நண்ணரு ஞானம் தலைக்கொண்டு நாரணற்கு ஆயினரே. 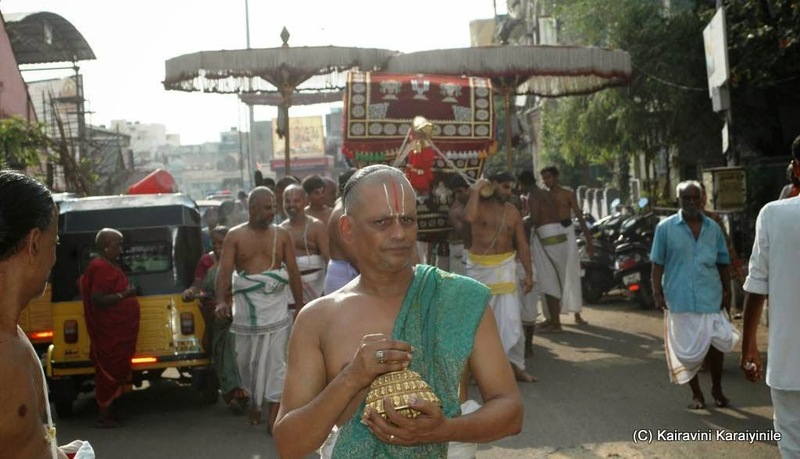 Triplicanites are feeling too happy and blessed to have darshan of Sri Ramanujar in palanquin this morning. Here are some photos taken by me during the morning purappadu which was curtailed to be ‘chinna maada veethi purappadu’. திவ்ய தேசங்களில் உத்சவாதி கிரமங்கள் செவ்வனே நடை பெறுதற்கு வித்திட்டவரும் , வேங்கட கிருஷ்ணன் அருளால் ஸ்ரீபெரம்பூதூரில் அவதரித்தவருமான இராமனுசரின் உத்சவம் திருவல்லிக்கேணியிலும், ஸ்ரீபெரம்பூதூரிலும் நடந்து கொண்டிருப்பது ஒரு கண் கொள்ளா காட்சி.